The Democratic donor class will resist the very policies that could unite workers of all races. They can't subdue Trumpism. The Democratic National Committee leadership and the party’s operatives gambled with the lives of working-class people when they went all in for Hillary Clinton, a wildly unpopular candidate with an out-of-touch strategy. They lost that bet. Donald Trump won the election, and now we’ll be paying for their mistakes for the next four — or, god forbid, eight — years. You might think these elites would be chastened into reflection. That they might take a few weeks off to consider where they went wrong and recognize Bernie Sanders’s success as a sign that millions of people want something different than Clinton-style politics. That they might even get out of the business altogether, having lost to a parodic orange strongman who stumbled into so many scandals that it felt like he was trying to lose the election. But if you think Democratic Party elites have any interest in admitting they made a mistake, you don’t know people like David Brock. So asked Brock, a Democratic Party operative, in reference to the Palm Beach retreat he’s planning for the party’s top two hundred donors. Brock, a Clinton stalwart who wasted an estimated $65 million trying to boost her campaign, waited all of two days before firing off a missive announcing the meeting to the same donor networks that funded his failed election season efforts. Brock’s groups — the super PAC American Bridge, the legal watchdog Citizens for Responsibility and Ethics in Washington, the media watchdog Media Matters, and a number of other liberal organizations — hitched themselves to Clinton from the earliest stages of her campaign. And what did they do with all their money and power? Well, Correct the Record, a super PAC created to coordinate directly with Clinton, spent $1 million to assemble an army of social media trolls to comment and tweet at Clinton critics online. Not, you know, to canvass in rural Pennsylvania or get out the vote in Milwaukee. But even after their candidate’s historic defeat, Brock and his associates aren’t ready to acknowledge their incompetence — they’re ready to do it all over again. In his message, Brock invited the select donors to join him in Palm Beach in January for a discussion about where the Democratic political machine went astray and what they should do to correct it. And, of course, to pledge the funds necessary to finance a (cosmetic) response. “This will be THE gathering for Democratic donors from across the country to hear from a broad and diverse group of leaders about the next steps for progressives under a Trump administration,” Brock wrote in the email, obtained by Politico. The network, Brock claims, won’t represent “a faction of the Democratic Party” but rather a “cross-section.” “[W]e’re not going to precook things ideologically,” Brock told Politico. On one level — as Politico points out — Brock’s quixotic crusade can be interpreted as a centrist challenge to the supposedly more progressive Democracy Alliance, another group of liberal donors that try to shape Democratic Party strategy. But it’s also easy to overstate the level of discord in the Democrats’ donor class: Democracy Alliance’s funders overlap with those in Brock’s network, and we can be sure that neither is keen on the direction Bernie Sanders has proposed for the party. Brock is a particularly repugnant character. A self-proclaimed “right-wing assassin” who made his name targeting the Clintons in the 1990s, Brock then changed sides and oversaw the creation of a web of institutions aimed at boosting liberal candidates — Hillary Clinton foremost among them. As early as two years before Clinton’s disastrous run, Brock was leveraging his well-funded infrastructure to bolster her candidacy. But however odious he is, Brock should be seen as an outgrowth of the donor class that enables him. And enabled Trump. Carriers of a worldview that regards those to their left as vulgar naïfs, liberal political elites have assiduously tended to the Beltway consensus for years, moving in a social circle entirely isolated from poor and working-class people. Now that consensus has exploded, in no small part because of their own myopic smugness. This much should be clear: they’re the last people we should entrust to steer us out of the morass of Trumpism. Their top-down approach to politics — a service model animated by an unwavering belief in their own superior intelligence — leaves us defenseless in the face of Trump and the right-wing forces he’s empowered. Their existential dread of radical change renders them suspicious of precisely the policies that could unite workers of all races and blunt Trump’s appeal. In short, the rich can’t save us. Instead of putting our faith in the very group that failed to defeat Trumpism at the ballot box, we must focus our efforts on reviving left politics — genuine left politics, not the wedding of neoliberal economic policies and symbolic concern for people of color and women that the Clinton campaign espoused. The Sanders campaign offers a good place to start. Speaking to the material deprivation and insecurity of the US’s working-class majority, Sanders proposed implementing universal programs like single-payer health care, raising the minimum wage, and reinvesting in communities, infrastructure, and energy systems to generate good jobs and restructure the economy along more sustainable lines. Contrary to his critics, Sanders’s program wasn’t blind to racial inequality: his platform would disproportionately benefit people of color, who have suffered the most from the weakening of the state’s redistributive arm and the expansion of its repressive apparatuses. It was also a popular platform. And it’s a platform that can win against a right-wing populism that blames those on the bottom rung of society for stagnant wages and declining living standards rather than those at the top. While some of his supporters would have voted for Trump’s right-wing nationalism no matter his opponent, many backed him for lack of a real alternative. Even more stayed home on Election Day for precisely the same reason. Rather than denying the validity of many people’s profound despair or blaming those who opted not to vote, the Left’s task is to offer a solution to mass alienation and elite-dominated politics. Such a program won’t be achieved by appealing to the goodness of the rich or the self-interest of the Democratic Party. The only way to defeat Trumpism and win social-democratic reforms is to mobilize millions of people and build progressive, democratic institutions at the local, state, and national levels. There’s a lot riding on the Left’s response. Allowed to grow unchecked, Trumpism will continue to emit a toxic nativism that corrodes the bonds of solidarity and undermines working-class politics. Instead of programs grounded in the material self-interest of all workers, we’ll get faux-populist scapegoating that masks the reality of deepening plutocracy. 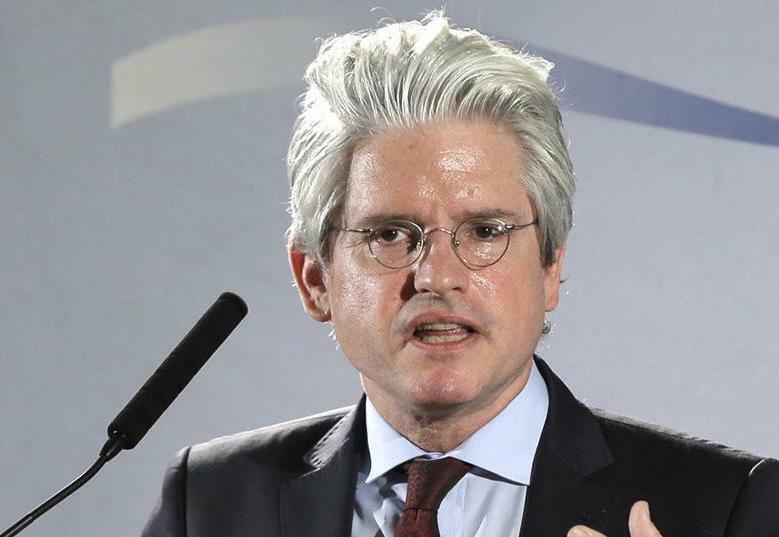 David Brock would have us believe that he can step in and drain this fetid swamp. But for all his sharp barbs, he and his wealthy cronies are members of the same plutocracy that has given us Trump. Their sanctimonious spending won’t just spark more anti-elite enmity — it will fail to produce any meaningful remedies to economic insecurity. Multiracial, working-class politics remains the only way out of this hideous landscape. Otherwise we can expect years of acute economic precarity and rising right-wing nationalism. Alex N. Press is an assistant editor at Jacobin. The Democratic donor class will resist the very policies that could unite workers of all races. They can’t subdue Trumpism.